Output a list of achievements. 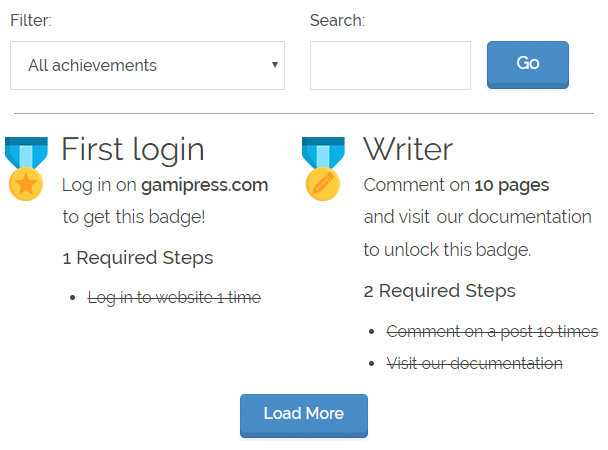 user_id – Show only achievements earned by a specific user. include – Comma-separated list of specific achievement IDs to include. exclude – Comma-separated list of specific achievement IDs to exclude. wpms – Show achievements from all network sites.